Tampere was founded in 1775 and first it was just a market place in the poor rural area. Tampere began to develop in the 19th century when as a part of the industrial revolution the city began to play a major role as an industrial center of Finland. Tammerkoski channel, which crosses the city center, provided sufficient power for the factories which were built on the banks of the channel. And so it happened that in the mid 1800´s Tampere had almost the half of Finland´s industrial labour which has left a strong labour and industrial culture for the city. They even started to call Tampere as´Manchester of the North´ because of the similarities with the UK´s industrialised Manchester. In Tampere textile manufacturing was the state-of-the-art and main industry at the beginning but during the decades industries developed towards common metal industry and other. In these days Tampere is also known of its information technology and telecommunication industry. Metso is a big part of the city and its colorful history. Metso Group has multiple posts in and outside the city but there is one undeniable and legendary site which is just a walking distance from the Tammerkoski channel (and all the other neat places). That place is called ´Lokomo´ and it´s an industry site for Metso Minerals at Hatanpää neighborhood. It is place where history and tradition meet the modern engineering skills. Back in the days Lokomo was actually a corporation, founded in 1915, and it manufactured trains (locomotives). Nowadays Metso Minerals is occupying the old Lokomo site but at the main gate you can still see an old train as a reminder of the old days. Did you know that Tampere has been continuously voted as ´The Best Place To Live in Finland´? And if we take a look at international news about Finland, such as the Best Country in the World for Mothers and the Best Country in the World, you could say that Tampere might just be one of the best places to live on earth! Is it because the city has somewhat 35 000 students of its 218 000 inhabitants which makes the city vibrant or is it because Tampere has the perfect location with nature and outdoor spots at your doorstep? Maybe it´s because of 80´s rock´n roll ages when there was a huge boom in Finnish rock culture, especially in Tampere where they created this strange and mystic ´ManseRock´ hype with mullets, leather jackets and white sneakers. When visiting Finland, travelers, backpackers, tourists, businessmen and women are quite often spending their summer days in Helsinki, our beautiful capital. But take caution! 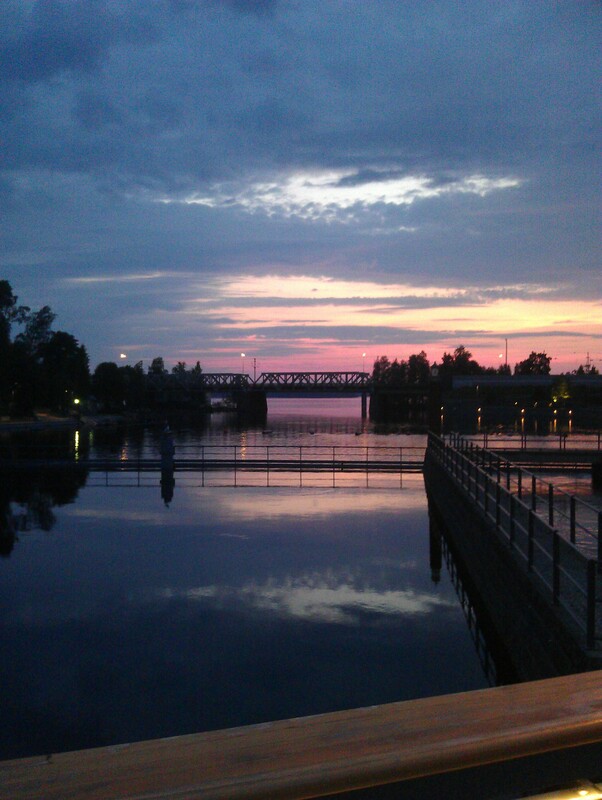 You just might miss the Pearl of the Inland, imposing, loose and laid-back Tampere. Summer Trainee and ´Manse freak´. Well hello! This is my first but surely not last blog entry for this summer: the game is on! As a Metso trainee I am proud to be one of the bloggers here at We @ Metso -blog. I hope my posts will provide you something to think about, add some sparkle for the summer weeks and hopefully amuse you. But first, let me tell you something about myself and what I do at Metso as a trainee. I´m a studying education and next semester I will start my Master´s at the University of Tampere, School of Education. To be specific I will actually graduate also to a class teacher´s profession (you know, to work with the kids at the elementary). I am also studying courses and studies which are related to multiculturalism, diversity and sustainability in development. Maybe that´s something I can write to you in the future. And what on earth am I doing here at Metso? It was love at first sight. It all started five years back when I graduated from the military. After the service I ended up working at the Metso Minerals Tampere. Minerals Tampere post is located at Hatanpää area very next to the heart of the city. As I am a big fan of Tampere, you can be sure that you will hear more about the great city of Tampere also known as the Manchester of Finland. Anyways, funny thing was that I started my first summer at Metso with three other guys who, eventually, became my best friends. We still from time-to-time talk about our time at Minerals and how we had a blast back then. After several months of hard work at the Minerals I had to say goodbye to Metso because of my upcoming studies. But little did I know that in the future I would see a lot more Metso, rock, spare parts, rock (again), forklifts and summers at Metso than I had in mind. This is now my fourth summer in total here at Metso Minerals Tampere and I´m enjoying every bit of it! I still do. From the very beginning my love story with Metso started at the Distribution Center (DC) spare parts warehouse. At the warehouse I have done almost everything you can imagine to do at this size of warehouse: packing, collecting items, driving forklifts, receiving goods, loading and unloading trucks and so on. One thing which has kept my interest is the fact that I can improve and develop my own personal work every summer. That has kept my mind fresh and open for new challenges and ideas. I have also a great honor to work with the best of the best. Every summer I am amazed about the warehouse team: how they always after a year apart welcome me back and treat me as a fulltimer. It´s always great to come back, shake hands, throw a joke and then start an interesting and rewarding summer at Metso Minerals Tampere. It´s truly been a love story to remember.